When it comes to jobs I’m like Cinderella’s prince with the glass slipper. I have tried out jobs, painfully forced myself into jobs and sometimes actually found the right fit. But what is it about this process that has come to be something I’m not ashamed of? In the course of my young adult life, I’ve had about 10 jobs since the age of 17. I’m now 26. It’s not so shocking when you find research like the Bureau of Labor Statistics that shows the average young adult has held approximately 6.2 jobs by the age of 26. I’ve read articles that focus on this phenomena as a negative but I’ve found that it’s helped me hone into what it is I really want and what I don’t want in a career. I’ve tapped into my strengths and weaknesses and learned valuable skills along the way. This post will be mostly about my experiences in an effort to show how attempting to find that Cinderella job isn’t necessarily a bad thing. I started working around age 12 or 13 for my mother’s side hustle catering business. My sisters and I were expected to dress in conservative black and white while we served wedding guests and bridal parties. I learned early on what a great work ethic could get you through my mother who would pay me $50 after each event. Ballin’! My mother was the queen of side hustles, she catered, did professional cakes, braids, and decorating all for money that would add to our household. What made this unique was that all these were things she was passionate about. Fast forward 15 years and now here I am on the same search for exploring my own passions. I’ve always wanted to do a number of things with my life. And honestly, I can’t even remember some right now. I always wanted to learn about cars so I took a job at a Jiffy lube. There I learned about tires, oil, price markups and tricks I could use to save money for vehicle maintenance. I also learned that a work-life balance was important to me. I don’t enjoy working 10 to 11 hours a day, 5 to 6 days a week, with no lunch break just for money. I took another job after this realization that included a pay cut from what I was making. As a security officer I learned that I value being rewarded for my hard work through pay and respect with a proper work-life balance. 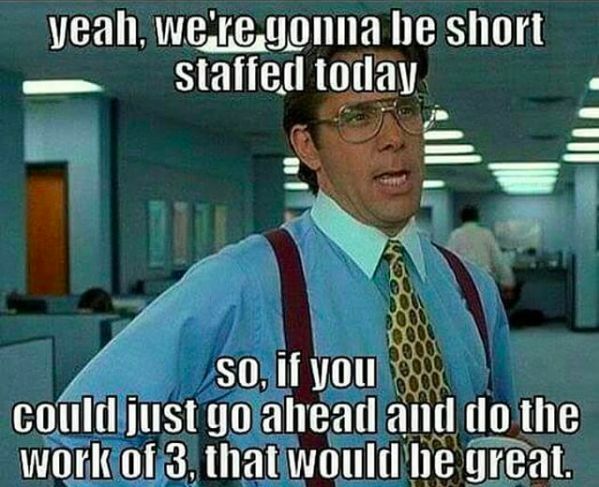 I worked third shift at this job and would often (damn near all the time) be called to work extra shifts or asked to stay over to cover down on other individuals at the last minute. I decided to leave this job to pursue one with set hours, vacation time, and better pay. But, as a security officer I reinforced what I had learned as a Soldier regarding integrity, personal courage, and resilience. Karsten Strauss says, “Younger generations are willing to make big professional changes to be happy.” That is definitely true for me. Millennials often get a bad rep because they don’t believe in blind loyalty to any one organization. Instead, many millennials are loyal to the prospect of a stable income, work-life balance (meaning you’re not working so much you can’t enjoy life), and the opportunity to train and advance. Those who have two or four year degrees sometimes find the job market unforgiving. In a time where companies are highly selective on the qualifications expected of candidates; why can’t potential employees also expect more from companies? Personally, I can’t get down with companies benefiting from my degree, work and military experience but not willing to match my skill set with pay and benefits. Taking on a job to secure an income until the next best job offer comes around is nothing to be ashamed of. I’m not saying take any job, or quit jobs after 2 months. If you are someone who is seeking to discover the right career path then you should start with your interests and stay for as long as you feel that the job is actually contributing to your life. There are countless different reasons why changing jobs can benefit a young adult. Older generations believe that they often secured a job early on in life and stayed put through to retirement. However, statistics show that every generation in their 20s has changed jobs at a similar rate. I found myself in a pickle when I thought I knew what I wanted to do upon graduating from college. I got placed on a deployment and came back with different interests that didn’t fully align with what I thought would be my career. I didn’t know what I wanted to do or what purpose I was to serve in life. That was a hard time for me but in taking on jobs that incorporated things I was interested in, I carved out a career path that makes sense to the person I am and the person I aim to be. I’ve kissed a lot of frogs in terms of jobs and found a few princes along the way. I have a job that speaks to a side of me that has been rarely exercised and I love it. Will I find my Cinderella job? Who knows…but I plan on making the most out of the search. I share articles often in my post because many have great information that I may not touch on. Check these out below as they better explain the concept of millennials “job-hopping” in the workforce today.